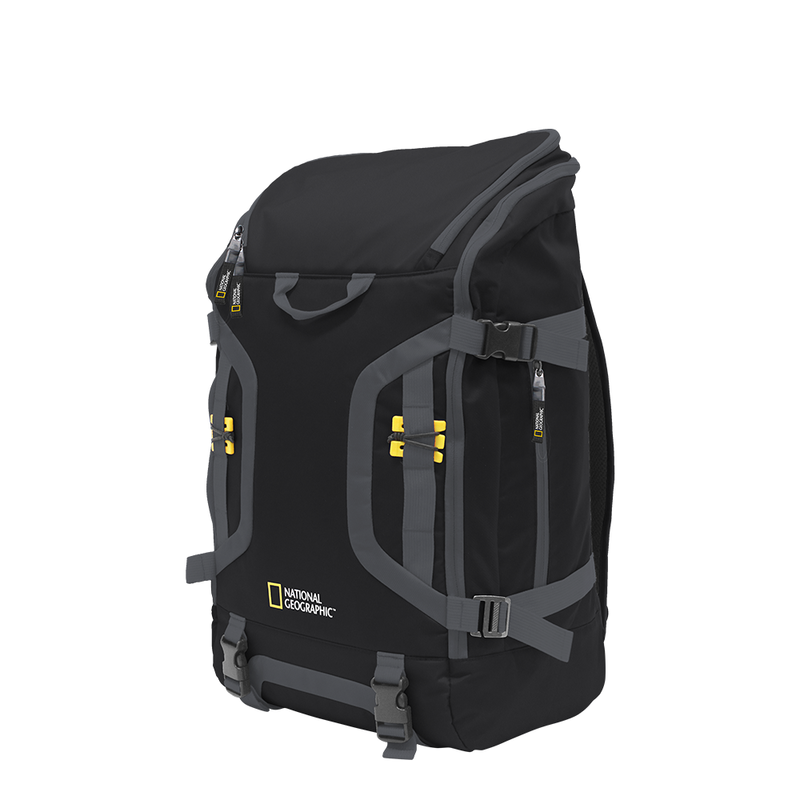 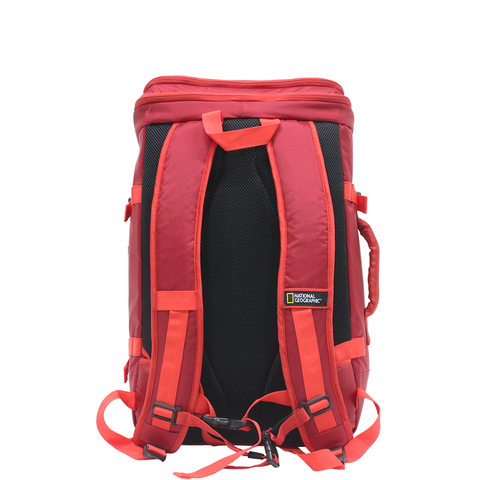 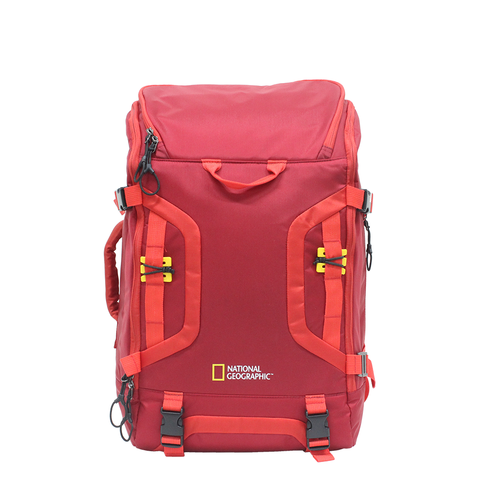 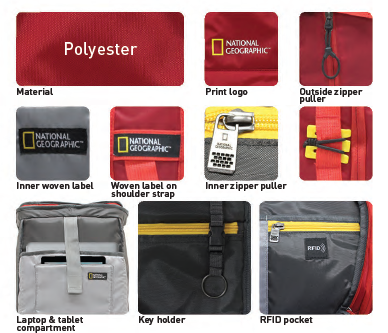 National Geographic Discover Backpack Large is a expedition like travel backpack with easy accessibility. 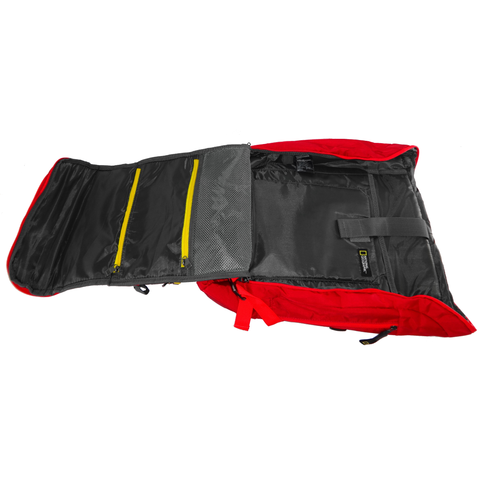 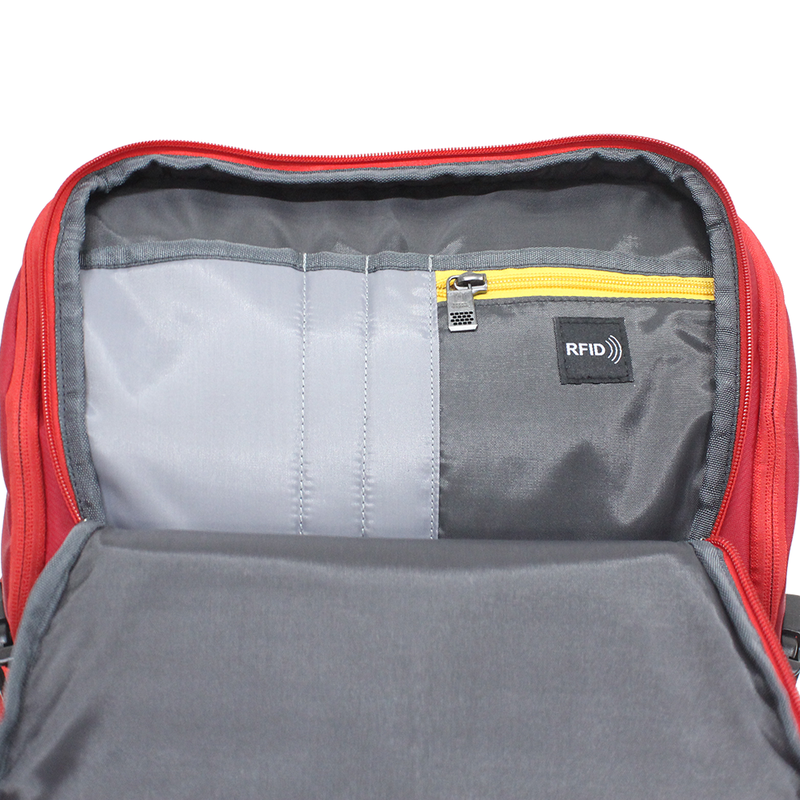 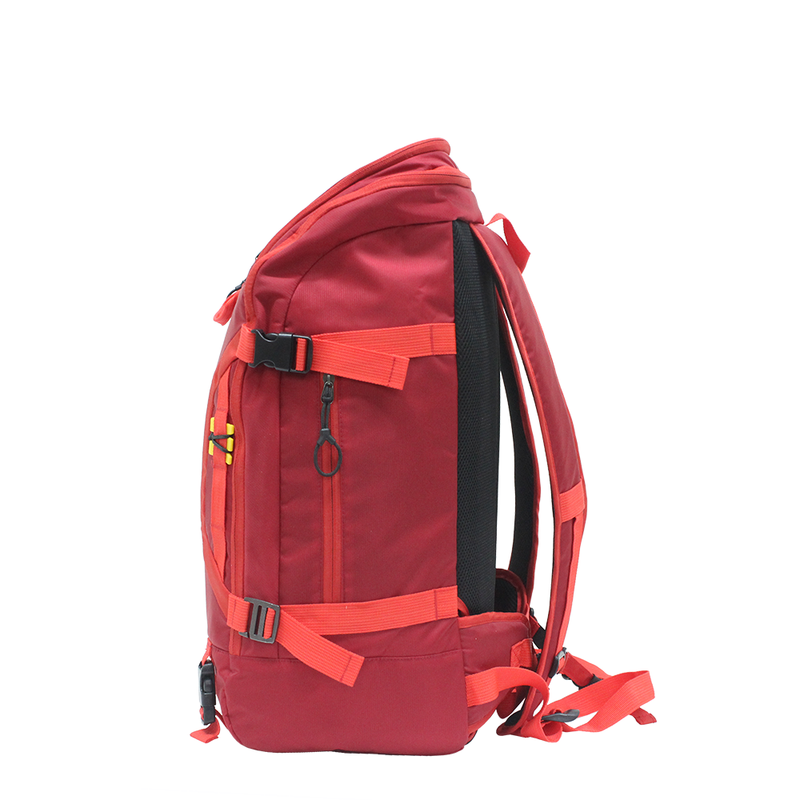 It has one main zip compartment with 17" laptop and tablet pockets and 2 zip pockets. Organizer pockets and RFID zip pocket are in the U-shape top zip pocket.